Welcome to our open, self-paced ESL study group. We can and hope to add networks to the group. This blog is the hub where you can find lessons, links to ESL learning resources, leave links to add to the network, post comment and questions. The study group project is experimental. Participate by sharing ideas and suggestions. …as a topic for blog about learning English, this may seem a change of pace but is still appropriate. Utrecht, Holland—My mission in this pleasant central Holland town: giving a keynote address at the 25th anniversary conference of Sense, the Society of English-language Native Speaking Editors, in the palatial surroundings of the beautifully restored 16th-century Paushuize (pictured). Knowing that the editors and translators who belong to Sense are much concerned with the international character of English, I chose to speak about the global role that the English language has taken on. And I stressed that English doesn’t deserve its role, linguistically: In many ways it is a terrible choice for a world language. English Listening ($3/month subscription) I just found this so don't know enough about the site to recommend it. If interested, please check out the site thoroughly first. Let us know what you think about this resource. What are your favorite listening sites? Please share them with us. This week's newsletter features two listening quizzes, as well as some suggestions on improving English fluency by learning from your mistakes. There's also a pointer to 18 stories that contain idioms and expressions in context with each idiom defined. ...and more in the 11/10/2015 About.com English as 2nd Language Newsletter. This week's newsletter features a lesson that asks students to describe the final scene of a movie to practice a wide range of forms. There's also a review of how to use make and do, and a look at using dialogues to practice reading comprehension and speaking in class. Do you agree or disagree? How does this affect your reading in English? Does reading level or lived experience in the target language's culture make a difference? Vicariously experiencing the emotions of a character in a book brings readers closer to the storyline, but the way readers react to fictional emotions depends on the language they read it in. Research conducted at the International School for Advanced Studies (SISSA) in Italy examined the empathetic power of reading in a native language. The findings, published in the journal Brain and Cognition, not only revealed how mother tongues evoked readers’ emotions, but also the limitations of a second language. The English language is, and always seems to have been, a perpetual battleground whose skirmishes take the form of controversies over usage and grammar....There has also never been a shortage of vociferous listeners to the BBC (the state-owned British broadcasting organization) complaining of its supposed failure to uphold standards of English usage - these standards presumably having been handed down from some mystical, mythical golden age of grammatical and vocabularian rectitude which often seem to be located in the decade of the complainer's childhood. Mix into this already-potent brew of linguistic controversy and personal prejudice the element of class rivalry described in Professor Alan Ross's notoriously provocative article of 1954, 'U and non-U', and it really starts to fizz! 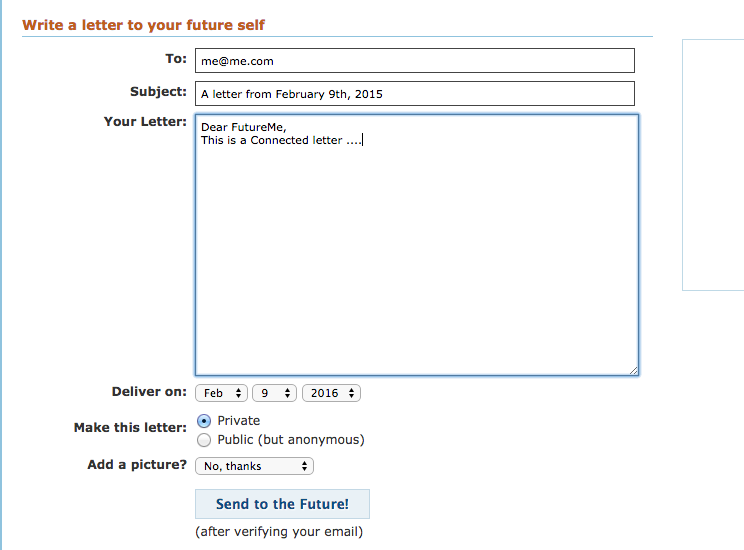 Use FutureMe to write yourself an email that will be delivered to you in the future. You set the date and how far in the future. Where will you be and what will you be doing next month? This summer? In six months? A year? Two years? What will it be like to get a note from the you of “now” in the future? Use it to send yourself reminders too. Come New Year's Day, send resolutions to your end of the year self. Write a note to the future to someone else (if you know their email). What other uses can you think of? Everyone … do the time warp! Write yourself or someone else a letter with FutureMe. ICT4ELT means Information and communications technology for English language teaching. A hands on workshop to learn how to use information and communication technology to connect to educators around the world and transform your teaching. 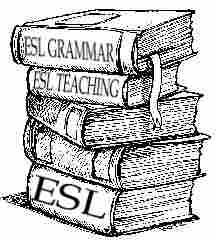 Some Blogging English followers teach ESL too. I can't how many or qualify as to few or many. I recommend this and other workshops is them ~ but not just for them. Intermediate through advanced learners will get a lot out of it too. Check out the other workshops too. It's late for registration but the resources are open. The pronunciation workshop should be of particular interest as well and helpful for speaking skills.